Brought to you by San Pellegrino. Enter now for a chance to be one of five winners of a FIAT 500. 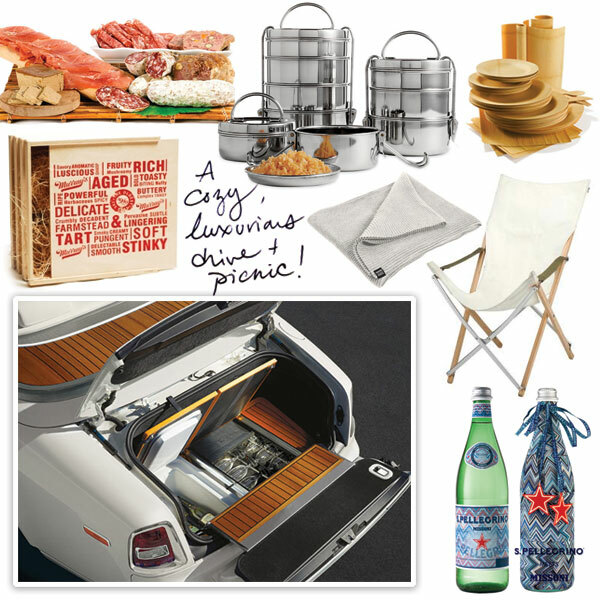 Plus, you could win great Italian-inspired prizes in S.Pellegrino’s Live In Italian On The Go Sweepstakes. When San Pellegrino approached me about sponsoring a post capturing what to “Live in Italian” means to me~ I couldn’t help but reminisce about my amazing time in Milan for grad school… and how much I learned about passion, patience, living life to the fullest, and enjoying beautiful design, delicious food and drink, and stunning landscapes ~ from rolling lush mountains to lively seaside spots. And with the summer coming to a close around us, it seemed like the perfect time to indulge in some picnic getaways ~ no matter where you are! 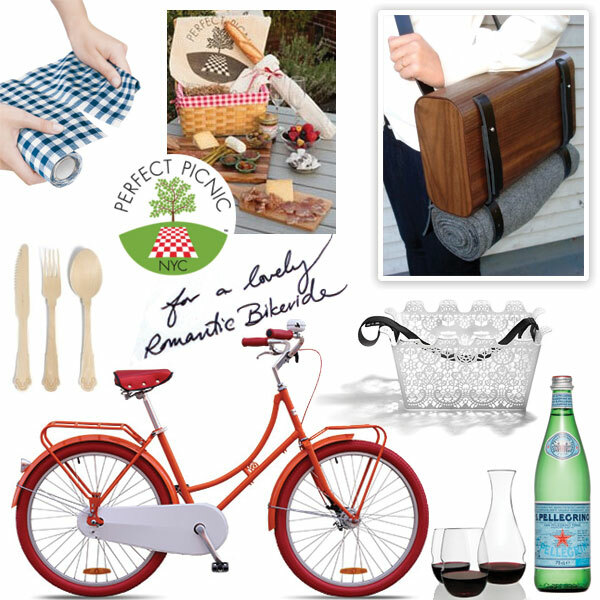 From the romantic bicycling picnic in the city ~ to the luxurious drive to a secluded picnic spot ~ to picnicking in the park with the kids ~ or even an evening camping picnic… take a peek on the next page at some of the perfect products to make it a special one! 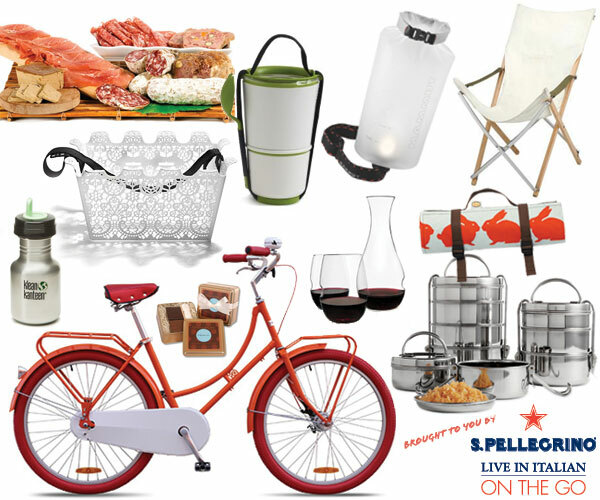 ROMANTIC BIKE RIDE PICNIC Inspired by the iconic San Pellegrino in a 1L glass bottle, a romantic bike ride picnic to a park in NYC popped into mind. And these Republic Plato Bikes are so adorable in such beautiful colors… you can just imagine it with my favorite Design House Stockholm Carrie Basket by Marie-Louise Gustafsson strapped to the front filled with deliciousness just picked up from Perfect Picnic NYC with some Tablée Cutlery For One Person sets made out of wood! You’d sling this Bent Walnut Picnic Wine Tote and Blanket by Teal and Gold across you with a bottle of wine, the bottle of San Pellegrino and Govino Shaterproof Wineglasses and Decanter! And for anything that may come up… MYdrap’s Perforated Roll of Cotton Placemats + Napkins has you covered… all in all it would be the perfect excuse to go lay out in the grass and enjoy the day with your special someone! PICNIC WITH THE KIDS Inspired by the PET plastic bottles of San Pellegrino ~ they seemed perfect for a day at the beach or park with the kids. You can imagine throwing down Anorak Kissing Rabbits Picnic Blanket and laying out. With Black + Blum Lunch Pots filled with snacks and Fabrikators & Josefine Bentzen’s Toddler Cutlery for the kids… and Murray’s Cheese Picnic In A Box for the adults… it’s a lovely day to run around playing! And while the adults have their bottle of San Pellegrino ~ the kids can drink from their Kleen Kanteen’s Kid Kanteen Sippy Cups! Perfect ending to all the fun ~ sneak in a surprise Dean and Deluca Mini Tote of Treats! PICNIC UNDER THE STARS This was one of my favorite things when living in Italy ~ San Pellegrino Aranciata! Yum! 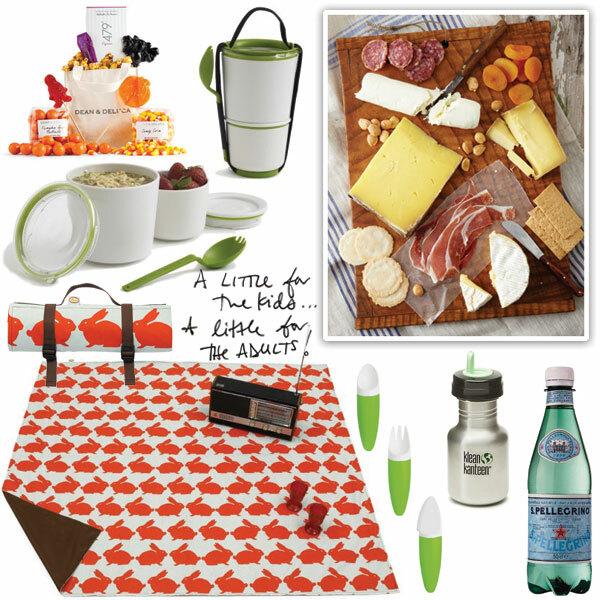 Also perfect for a camping picnic dinner! And you can wrap a 6 pack of them up in the Poler Wunder Bundler to keep them cold (they are brilliantly versatile sheets of insulated goodness you can wrap just about any shape in!) 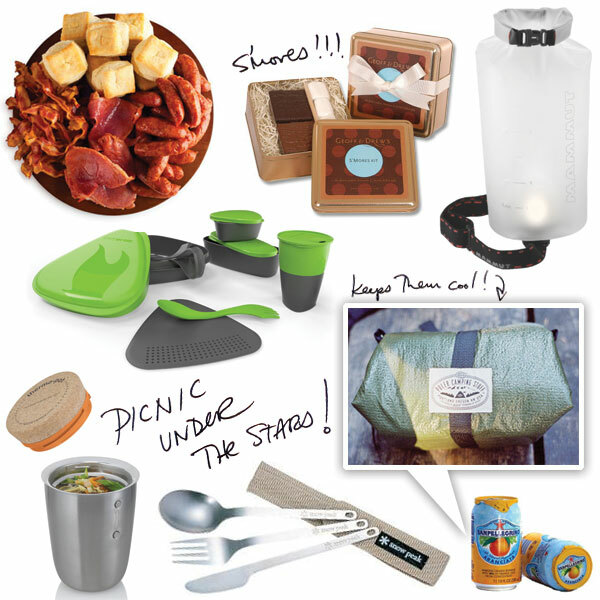 - and you can have some hot food ready in the Black+Blum Thermo Pots… fun starters like the Dean and Deluca Smokehouse Sampler tucked away in a Light My Fire Meal Kit 2.0… all ready to be eaten with the ultimate camping utensils, Snow Peak Titanium Full Silverware Sets! As the sun sets, you can not only use the Mammut Ambient Light Dry Bag to hold dinner, but once you’ve laid everything out, you can attach your headlamp to light it as an ambient light for the camp! And of course no camping picnic is complete without Geoff Andrews S’mores Set!